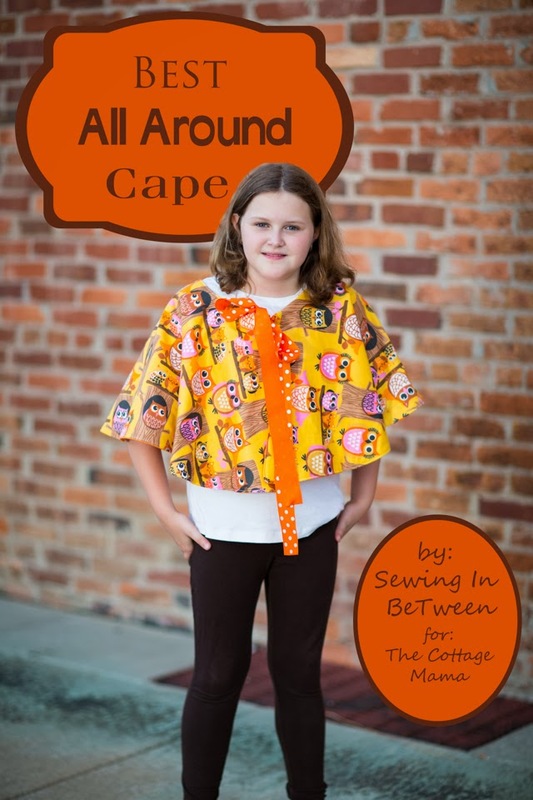 Sewing In BeTween: Free Easy Cape Tutorial! If you are looking for an easy Halloween costume, warm cover up, or cute accessory - check out the tutorial I shared over at The Cottage Mama! It sews up quick and is super versatile! I hope you will go check it out!